GUEST BLOG / By Lorena Figueroa, El Paso Times--If you are traveling this summer and plan to renew or apply for a U.S. passport, do it now. U.S. Department of State officials are urging travelers to get their passports as soon as they can because of increased demand, which could bring longer processing times. The department, which processes passports, expects a surge in renewals starting this year. That is because people who obtained U.S. passports in 2007, when the Western Hemisphere Travel Initiative went into effect, will have to renew in 2017 because those passports are expiring. The initiative requires all citizens of the United States, Canada, Mexico and Bermuda to have a passport or other accepted document that establishes the bearer’s identity and nationality to enter or leave the United States. For example, the demand in El Paso this year by first-time applicants and passport renewals for both books and cards already has begun to increase. From January to April 12, there were 52,002 passport applications being processed at the El Paso Passport Agency, according to the agency’s data. That is an increase of more than 30 percent compared with the same period in 2016, when the local agency had processed 39,325 applications, data show. Jennifer Archibeque, customer service manager at the El Paso Passport Agency, expects the numbers to continue to increase locally as well as at the national level. The State Department anticipates a record number of at least 20 million passport applications by the end of 2017, she said. “We encourage travelers to apply or renew their passports well in advance because we anticipate to continue having a high demand of passports over the coming months,” she said. Currently, passport processing times for routine service is between six to eight weeks. That, however, could increase if the high demand trend continues. Archibeque said that by applying ahead of time, travelers also will avoid costly travel delays if they go to countries that require U.S. citizens to have six months or more left on their passports to travel there. Current passport holders can renew by mail or in person for first-time applications at the State Department's passport agencies, as well as at any of the 8,100 acceptance facilities, including the El Paso District Clerk's Office and U.S. post offices. Passport agencies typically require an appointment and are not usually open on weekends. 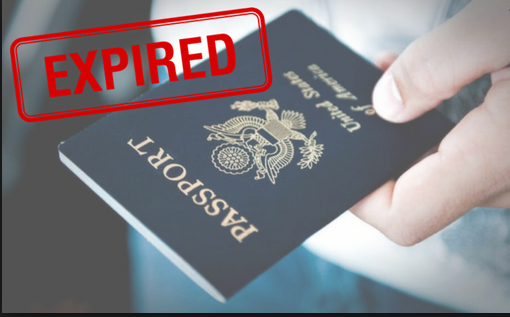 However, on Saturday, which is Passport Acceptance Day, the El Paso Passport Agency will open its doors from 8 a.m. to 1 p.m.
On Passport Acceptance Day, no appointments are needed to apply for a passport, and customers may request routine or expedited service. Expedited service costs an extra $60. Passport processing times with this type of service on Passport Acceptance Day will take one week or less, Archibeque said. Those who choose the regular routine service on Passport Day will have their passports ready in less than four weeks, she added. Archibeque recommended travelers complete the passport application online at travel.state.gov and bring it to the local agency on Passport Acceptance Day completed and unsigned, along with a copy of proof of citizenship and a picture ID, in addition to the original documents, photo and correct fees. An adult passport book costs $135, including processing fees. The adult passport card is $55. The cost is $165 for both the passport book and card. More information on how to apply for a U.S. passport, including necessary documents and fees, is available at travel.state.gov. U.S. citizens also may obtain passport information by phone, in English and Spanish, by calling the National Passport Information Center toll free at 877-487-2778.